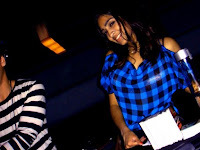 As Scene at Manic Mondays a few weeks back and even earlier at our ill fated and belated K.I.S.S. Thursdays happy hour (now monthly late night jam). Young HellaMiles has musical tastes and skill beyond his years. 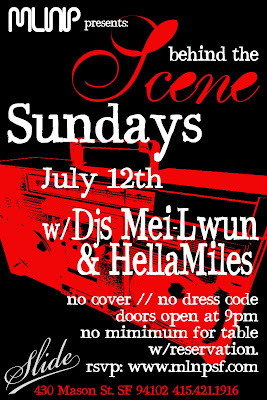 Come party with resident Dj Mei-Lwun and Hostess with the mostess Nadia this Sunday July 12th for what is sure to be a SCENE!! !